Mouth Cancer Symptom: A Mouth Ulcer that Won’t Heal? A mouth ulcer is a dental problem that usually goes away by itself, and is not a major cause of concern. But if your mouth ulcer does not go away after about two weeks – and actually worsens and grows more painful – it is time to have it checked more thoroughly to determine if it is an early mouth cancer symptom. Early detection is the vital to the successful treatment of mouth cancer. Even if the mouth sore is determined to be benign and not related to cancer, it is still best to have a dentist look at a mouth ulcer that does not heal by itself for your peace of mind. Do you have a mouth ulcer that won’t heal? Have you noticed the ulcer growing in size, or becoming more painful, as time goes by? Please do not ignore this mouth ulcer – and have yourself checked by a dentist as soon as possible. 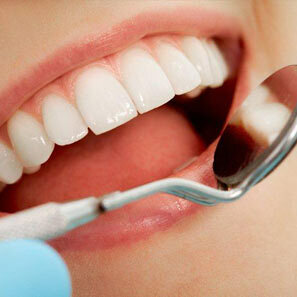 According to the Mouth Cancer Foundation, mouth cancer is diagnosed in almost 8,000 people yearly. An increase of 50% has been seen in those figures between 1999 and 2007, with most cases seen in patients who more than 50 years of age. However, mouth cancer cases in younger patients are on the rise, with the human papilloma virus 16 (HPV 16) being seen as the link to mouth cancer for even those who do not drink or smoke, and those who have good dental health conditions. Treatment and survival rates are much better for HPV-related mouth cancer, compared to non-HPV mouth cancer cases. The group with the highest mouth cancer risk is the one composed of heavy smokers and drinkers; this is because alcohol dries up cell walls, making it easier for the toxins from tobacco to penetrate the tissues and morph into cancerous cells. Mouth cancer has a much higher chance of being successfully treated if the symptoms are detected early enough. Early detection also decreases the risk of the cancer cells spreading to other parts of the body; there are cases of mouth cancer detected late that have spread to the throat, and the lungs. A few weeks can make a huge difference with the detection, diagnosis, and start of treatment for mouth cancer. Those few weeks of ignoring symptoms that just won’t go away can determine your chances of survival or, at the very least, can rob you of the peace of mind with not knowing what those irritating mouth ulcers are all about. If you would like further advice please contact Ealing Smiles.